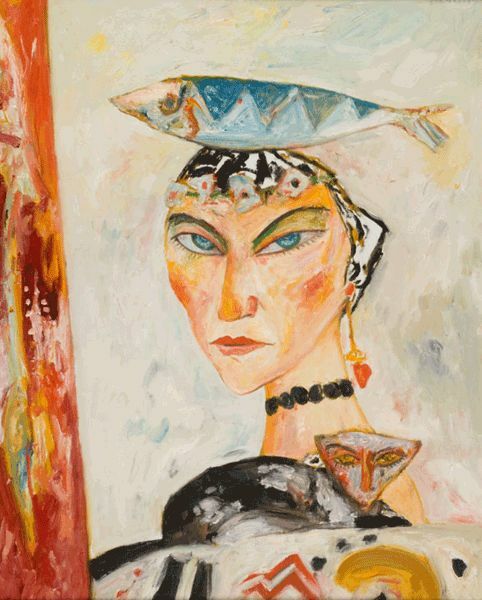 Woman with Fish Hat (and kitty), John Bellany, 1987. 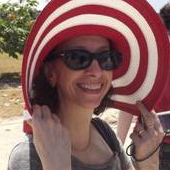 That’s not a hat…it’s a fish-shaped brain tumor. Also, there’s something vaguely alien-looking about that cat. I think it’s from another planet. The cat looks like a praying mantis. Did you know I once saw a praying mantis walking down the steps to the Union Square subway. I wonder where he wanted to go, maybe Macy’s?